- Finished size : 600x9mm with Solid Timber Staves. - The May container did have 9mm stock - at a higher price. The same as out American Red Oak! Oak is a natural product - variations in knots, colour and grain should be expected; They are not defects. Not suitable for use as doors - twisting & cupping can occur if 9mm Laminated Oak Boards are not fixed in place. 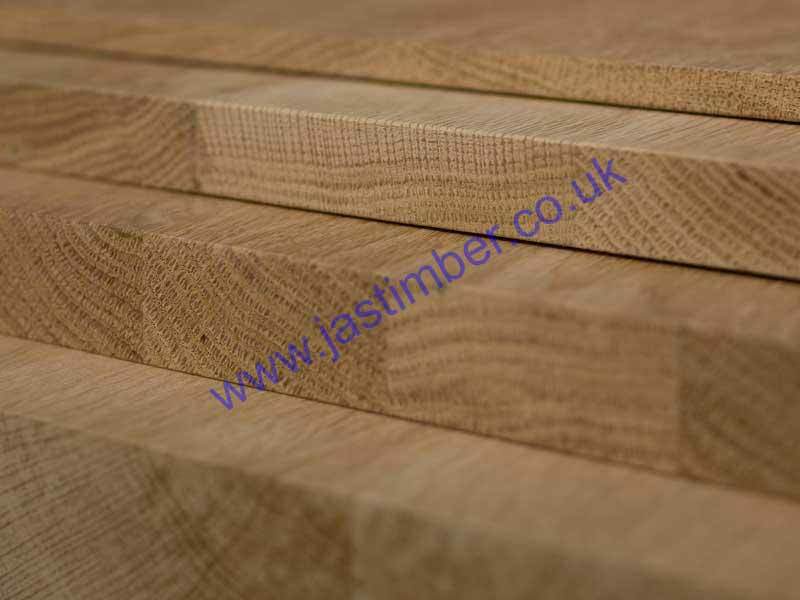 - We cannot exchange any Oak Board once ordered; Laminated Oak Boards are a Special Order. 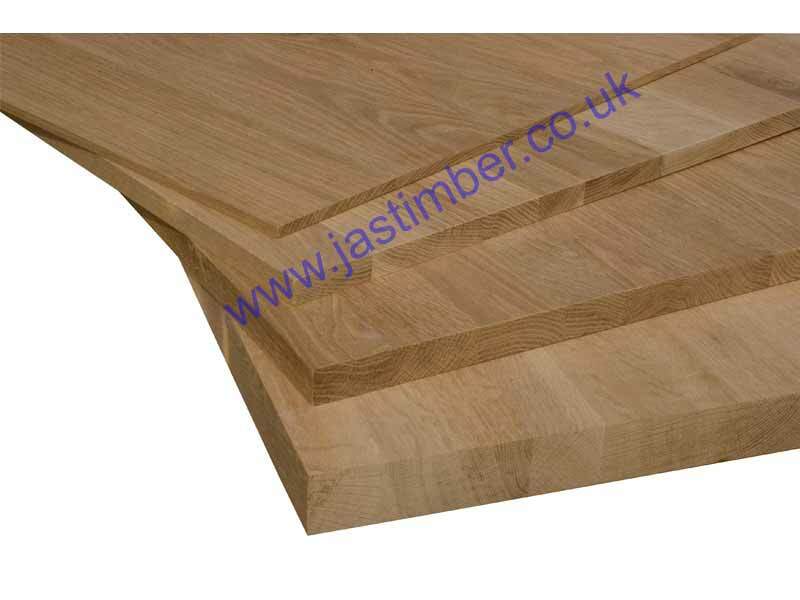 Carrier Delivery is possible on Oak 9mm Jointed Board from £11.40 +vat for 10Kg/2.4M, then +50p per Kg; ( Zone A mainland - poa other zones) But the quantity of Boards is also a factor - we can't just send one board. E. & O.E. see T&C - We do try to keep prices and specifi­cations of 9x600mm White Oak Furniture Board correct, but mistakes can be made!